Just living gluten free (and dairy free for my two boys), sharing the loves of my life (Jesus, Hubby, and boys), & laughing (usually at myself). The quote the rang the most with me this week was on page 114, ” Be a thermostat, not a thermometer. Set the tone and environment in your home.” We women do have a lot of power in setting the tone. The saying, “If Momma ain’t happy, then nobody’s happy” is commonly known for a reason! One thing that helps me is to remember that emotions don’t dictate truth… feelings don’t dictate reality. Truth and reality are unchanging – regardless of the emotions/feelings we have there are truths that we must hold on to and focus on – even when our emotions and feelings tell us differently. Maybe focusing on realities – like I’m accepted by the Lord Almighty, even when my teen (or friend) won’t always accept me. I am beautiful and wonderfully made, even though not a hair on my head is obeying my commands, my face is breaking out, and lips are completely chapped! Life is busy, emotions can run thin. I’m trying to keep my focus on the moment. Letting God sweat the big stuff. The last couple weeks have been crazy busy – kids shared flu back and forth, when well they had activities to run to, work was crazy… just a lot going on… but I won’t focus on the crazy, but the moments that God blesses me with that are wonderful. Today is one of them. 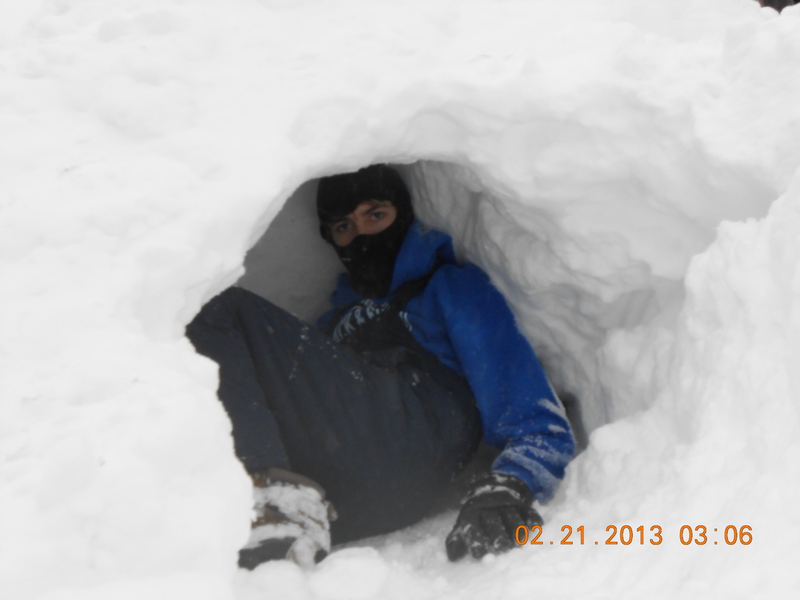 Yes, we got a lot of snow, they loved building this little fort and hope the dog doesn’t try to dig them out! We love our dog, Sheldon, but he is a little silly! 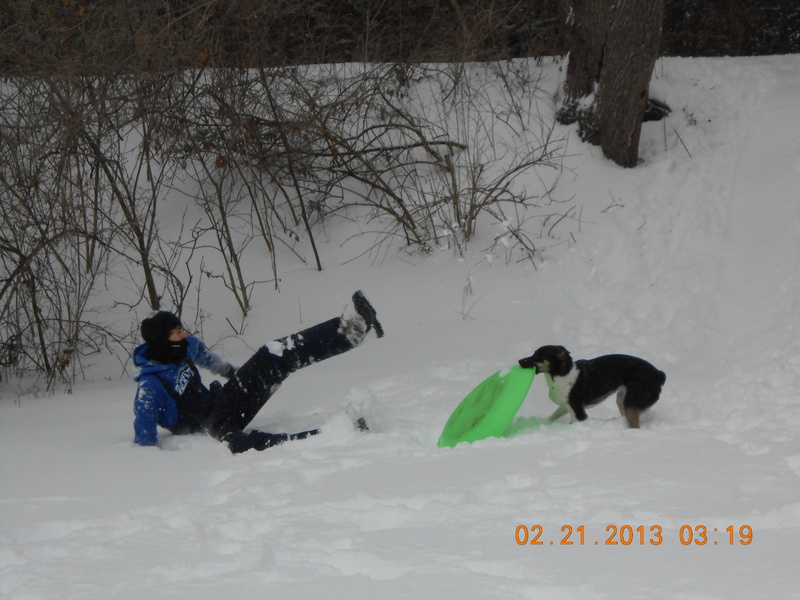 He kept running away with the sled and even would take it and try to run while kids were on it! I started this Bible study knowing that I’m stressed out, anxious and exhausted… I actually thought it was because I couldn’t control the things in my world and I needed help to find a way to better control that chaos using God’s strength! I can already see that God is leading me a different direction than I ever thought. I’ll be honest, I’m blessed. Oh, I have struggles – finances, occational health issue (celiac) or food allergies for kiddo, economy may impact my job… that is just part of living in this unperfect world… but much of this isn’t in my control. 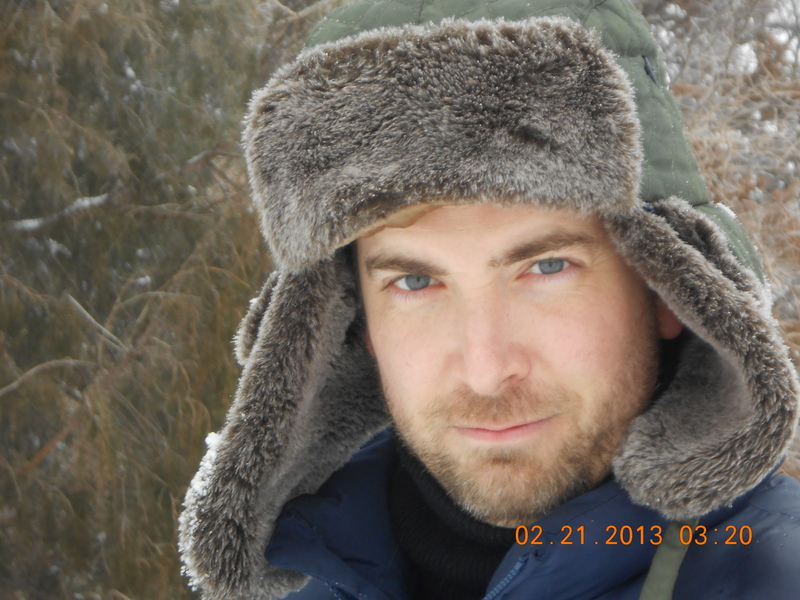 Most of us, if we are reading this blog, are probably pretty blessed, too. We probably a warm home, electricity, maybe a phone we are able to view this on or a personal computer… just having the warm home, electricity and a computer makes us wealthy (in the measures of this world) compared to so many others who struggle for just basic necessities. So if I’m so blessed, why am I so stressed out, anxious and exhausted? I think it is coming down to a few common themes… I’m trying to control things I shouldn’t, do things I don’t need to do, and not allowing Christ to live through me but working only on my own energy. So, am I a control freak? Hmm… well, in taking the little quiz at the end of chapter 1 I found my “control quotient” told me I was a 40 – bordering on being manipulative… and that I may have certain areas in my life where you pull out the stops to get my way… if I had one more point, then I would have qualified for Control-Freak alert! LOL! Okay, maybe I am trying to control things a little too much! But why? Karen Ehman said she too dealt with this and her reasons (page 22) she found true in her life: 1) wanted to feel indispensable & 2) wanted to get own way. It is time to get rid of that facade. No more “super woman cape” for me… so where am I going to go if I can’t control my world? Guess, I need to go to the one that created the world in the first place! In the study, “The Life” by Bill and Anabel Gragram, he points out that the Bible states 10 times more often that we are to live “in Christ” than it says that “Christ lives in us”. However, we all focus on the fact that Christ is in us as Christians. 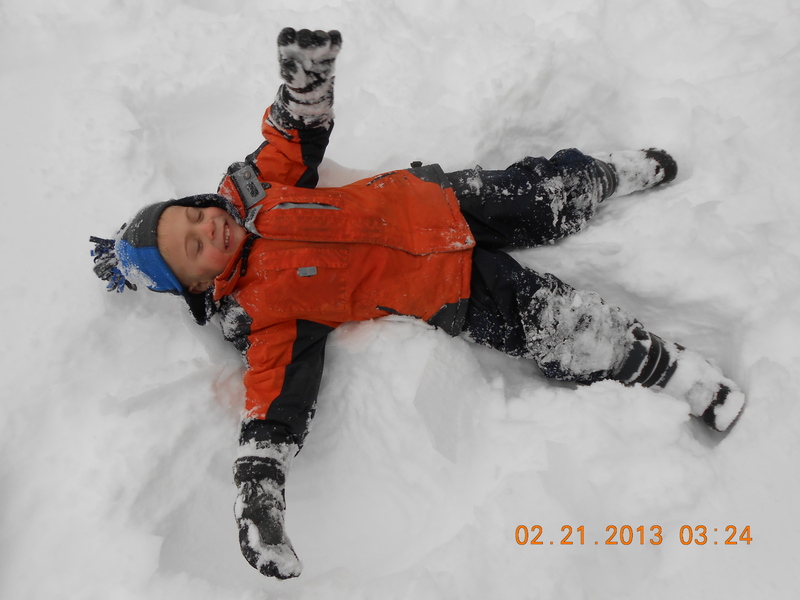 As a little child, my son knows that Jesus is in his heart… but that isn’t the whole story. If the Bible states that we are then to “Live in Christ” 10 times more times than that “Jesus is in us”, shouldn’t we be doing it? Do I? What is it to live in Christ? Guess that is for more exploration to come. 🙂 However, I’m feeling that a good piece of this is doing what God tells me to do, nothing more, then letting God do the rest. So, hand I’m going to start handing it over… I think God is leading me to just surrender to Him – total surrender. Surrender the pains, disappointments, the hurts… surrender the expecations, my desires, my control… all of it to Him. Allow Him to heal, mend, and grow me… and to get out of the way so He can work on others, too. Yeah, I try to do His work – my way sometimes. 🙂 Totally surrender to Him, His ways, His desires… will you? New – it is a great word isn’t it? I love getting a new dress or a new pretty pair of shoes. I love the smell of a new born baby or newly cut grass. I love the feel of the pages of a new book I’m about to start reading. New is a great feeling, especially when it is a new beginning. Each year we make New Year’s Resolutions, for many of us only to break them only weeks later. However, each day is a new beginning. It is a fresh start to do things right that day. Not to look back and relive the wrong we’ve done, but to start doing right. God is the master of new beginnings. He makes each of us a new creation when we come to him and believe in him. I love the thought of my creator, removing the dirty, filthy stuff from my life only to replace it with something new and better! How many times have I allowed the “gossip gals” at work to determine my identity? How many times have I felt that if my kids misbehave, that this defines me as poor parent? As moms or even just as women, we like to control. We juggle so much, especially in this day in age, that we feel the only way to stay on top of it all – is by controlling it. So what is “new” with me? 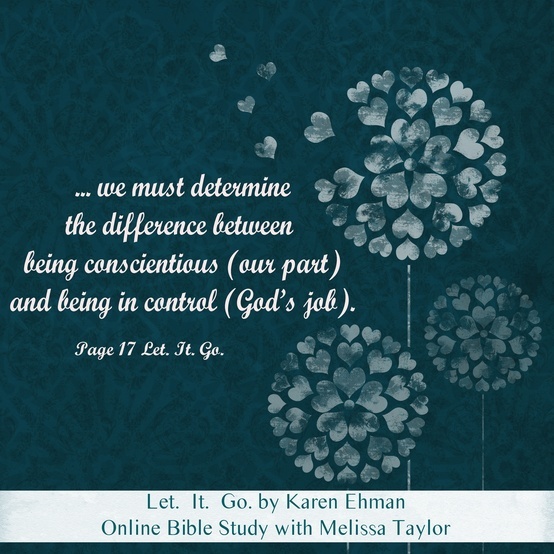 My next Bible study – Let.It.Go. by Karen Ehman. It is an on-line Bible study that I’m already getting excited about and it only officially started today! 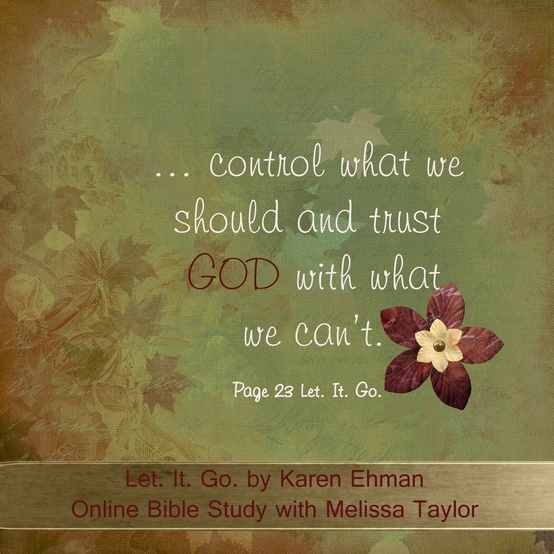 It is to give insight to how to let go of control and let God do it through us. From the review it is to help us take control of our schedule, yet allow God’s interruptions, to help us learn to micromanage less and just be a mother, how to be an influence to our husband, learn to control our emotions (even if we can’t control the circumstance) and to stop pursuing the appearance of perfection and just allow God to shine through our lives. “There exists a minuscule line between being conscientious and being controlling. A marker so fine, we women cross it without even noticing that it’s stretched out right there in front of us, waiting to trip us up. 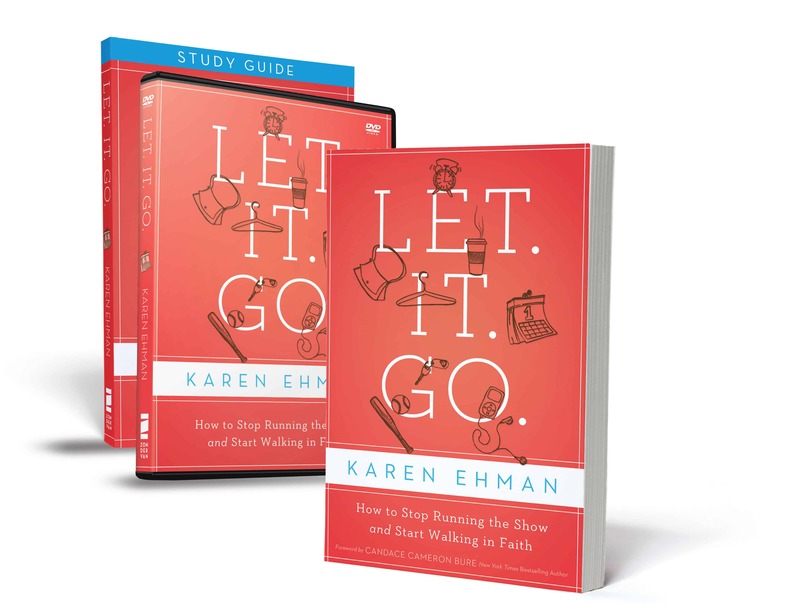 What we must do is determine the difference between being conscientious (our part) and being in control (God’s job).” – Let.It.Go by Ehman, page 17. Will you join me? There is still time and the first chapter is on Melissa’s website if you need to start there.